​Live Your Life on Fire! NEW 2019 EVENTS NOW ON THE EVENTS PAGE! "After reading Sue's book "Expect the Extraordinary", I had an extraordinary dream. It was completely different from what I have ever experienced, and I believe was due to this wonderful book that Sue wrote. It was a dream of comfort and a euphoric feeling, one that you don't want to wake up from. After waking I felt like I have never felt before, totally refreshed and relaxed. In my dream I had the feeling of weightlessness and complete comfort with blue butterflies circling me. Thanks Sue for a great experience." "I just finished reading the book, "Expect the Extraordinary", and wanted to write about my experience to encourage others to read this inspiring and healing book by Sue Pighini. I was in tears by the end of chapter two, so I knew this book was already touching my soul. I read on, highlighting paragraphs and dog-earring pages. But, when I reached page 71, I was sobbing with unresolved grief. I had just lost my dear Mother, my best friend, four months earlier. I thought I was getting over the loss but not so. What struck me on page 71 was Sue's connection with her mentor mare (female horse), Skye: "When you look into my eyes, you will see my soul which is always filled with love for you." When Sue looks into Skye's eyes she sees unconditional love and trust. That is what I saw in my Mother's eyes, even after her stroke. What Skye taught me was that I was enormously grateful for the years I had of my Mom's unconditional love. What a gift this book is! I wonder what this little, easy read of a magical healing book has to offer you? I wish you, the reader or listener a profound heart healing like I had. Thanks Sue." 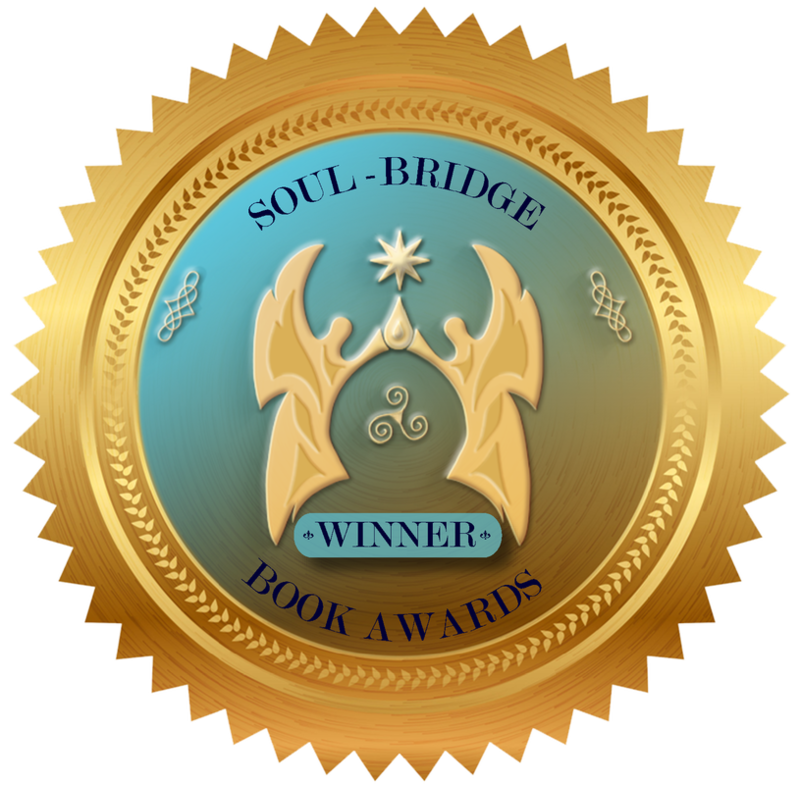 "Expect the Extraordinary" has just been awarded two awards from Europe's Soul Bridge Award over hundreds of other authors. Winner in the Angel and Spirit Guide Category and Honorable Mention in the Inspirational Category! Thrilled! "Expect the Extraordinary" has just been awarded The Spirited Woman Award! We are one of only 12 women authors to garner this award for exceptional inspiration! "Expect the Extraordinary" has just been awarded the Finalist Award for the Inspirational Category! We are thrilled to be honored in this way. Many people have written about their near death experiences but few have come close to realising the transformative power they present us with. Sue Pighini is certainly the exception, delivering a memoir and guidance for personal transformation which proves wholly compelling and in sharing her life-transforming journey it is particularly notable for its broad strokes. She talks of angels and spiritual guidance but her words are refreshingly unconstrained by a particular faith. She simply and candidly shares her experiences and those of others she has met and by not dwelling on the relationship between organised religion and near-death experiences makes a powerful argument for love being the most emotionally, spiritually and psychologically healing power there is. One that transcends fractured belief systems and ultimately unites us. This alone is a reason to pick up a copy of Expect the Extraordinary and begin reading but Pighini goes beyond this to share her years of reflection and interpretation to create a template for personal and lasting transformation. Well-written and powerfully uplifting Expect the Extraordinary is a guiding read that readers will return to again and again and is highly recommended. Mission Statement: To help myself and others create lives of "extraordinary" positive change. We are each here to learn to nurture the wondrous connection with our more powerful, intuitive selves. The result is the belief that we each have the answers to our own exceptional futures. Before lightning strikes in your life, let Sue Pighini's inspirational story and her newest book, "Expect the Extraordinary" guide you into taking chances for change. When you really want that job or relationship or living location to be so much better, let Sue guide you on how to go forward. What can your personal transformation be like? What steps would you take to re-invent your life? Sue Pighini, author of "Expect the Extraordinary: Angelic Messages, Spiritual Encounters and the Soul of Skye", helps her audiences answer the enormously important question of "how do I live the most fulfilling life possible"? Sue was struck by lightning and had a near death experience. She wants you to know that you don't have to go through a lightning strike to "light up" your life! The reason we are all on this earthly journey is to experience greater peace and passion in life. The only way we can get there is through transformation - living large! Finding lost passion to create personal or professional happiness. Learning to live more fearlessly. My near death experience can be your transformation. Sue is a Transformation Life Coach, helping others welcome change into their lives in order to live more fulfilling lives. People are afraid of living a great life - afraid of greatness. We play it safe and small, settling for less than what we could be. How can you move past the status quo, and move beyond limited expectations and the expectations of others? To book with Sue, please see Upcoming Events Page: https://www.suepighini.com/upcoming-events-and-sue-speaks.html. 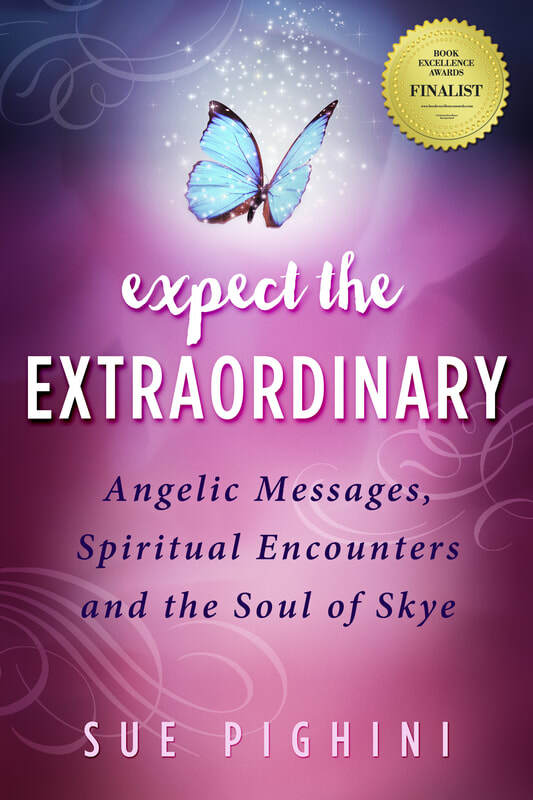 "Expect the Extraordinary” is a beautifully uplifting book with a powerful, positive message throughout. This book by Sue Pighini is a must read for anyone who wants to better understand how to connect with the spiritual energy around them and how the angels are all around us, we just need to listen. Loved reading about her near death experiences, and the others’ as well. It is amazing what each of them take away from the experiences – profound insights on life that can teach us all something and without having to nearly die first! (Especially loved the ’10 Sacred Insights’ – I want to print them up and put them on my wall!!) The whole thing was just so easy to read and felt very relatable to me and my life and I feel like I learned a lot. I’ll reread this in the future and recommend to my friends and family. "Expect the Extraordinary" by Sue Pighini is definitely a book that makes the case for real, down-to-earth spiritual guidance forged through adversity as well as through joy. Within its pages Sue Pighini presents a thoroughly enjoyable, self-reflective analysis of her own life - one that has had its course steered by divine angels along its way. The book is also a noteworthy reading experience because of the inclusion of several personal photos and the addition of some of the author's favorite quotes. These serve to keep the reader both entertained and informed in equal measure from cover to cover. "Spiritually uplifting with a powerful positive message. #a must read!" "A world of extraordinary transformation." "What can your transformation be like?" "Finding lost passion for creating personal and professional happiness!" "A beautiful and intelligent treatise on spiritual awakening!" "Well written, powerful, descriptive, inspiring and relatable!"